The stakes are high as superintendent Dr. David O’Shields and the District 56 school board seek a successor to Andrew Webb as head football coach at Clinton High School. Security is tight. The board met in a special meeting last Friday that consisted of an hour-long executive session for personnel considerations after which no action was taken. It seems likely that the hiring of a football coach came up. Football wields a powerful influence on the people of Clinton and the southeastern half of the county apportioned to District 56. The Red Devils have won eight state championships but none since 2009 and only one since 1987. 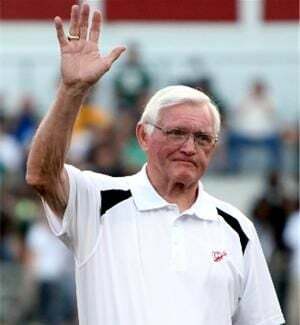 Clinton spent 41 years with two head coaches – Keith Richardson (239-57-2) and Andy B. Young (154-61) – and since Young was forced into retirement after winning the state championship, the Red Devils have had two coaches in nine years, Scott King (21-34) and Webb (14-28). Both are fine young men and Clinton natives. Both were tremendous role models for their players. Neither won enough to meet the high standards embodied in the school’s tradition. Clinton wants its coaches to mold the town’s young athletes into fine members of society. This is best achieved in an atmosphere of success. In retrospect – and it seemed that way at the time, too – the decision to send Young out to pasture before he was ready to go was a disastrous move. It made the job more difficult for the assistant coaches who were promoted to follow him. Had they gained more experience before they took over, it might have been different for King and Webb. It appears that the powers that be in District 56 have learned from past frugality. Slots have been opened in the coaching staff to facilitate the new coach being able to bring in at least some of his own assistants. Why has Clinton football fallen on hard times? The onus of power in South Carolina high school football has shifted from rural “football towns” to monied programs in suburban areas. For decades, Clinton football thrived on fundamental soundness grounded in long hours on the practice field that High School League regulations no longer allow. Clinton has not adjusted well to the changes. What is nonetheless inescapable is the reality that everyone else has to go by the same rules. A basic observation of the Red Devils in the past decade is that the talent isn’t what it once was. It is also true that talent must be cultivated. Many years ago, a coach in another town who had fallen on hard times remarked that he thought playing football had somehow gone out of style with the kids coming up through the ranks in middle school and junior varsity. Part of a coach’s job is to make the best of what he has. Part is to make sure he has enough. The model for Clinton’s new football coach – and this is not to say that he is interested – should be Abbeville’s Jamie Nickles, who recently won his fourth consecutive Class 2A state title – Clinton is 3A – and sixth overall. The Panthers also won state championships when Nickles played there (1981) and served as an assistant (1996). Clinton High School has not a single disadvantage that Abbeville does not share. 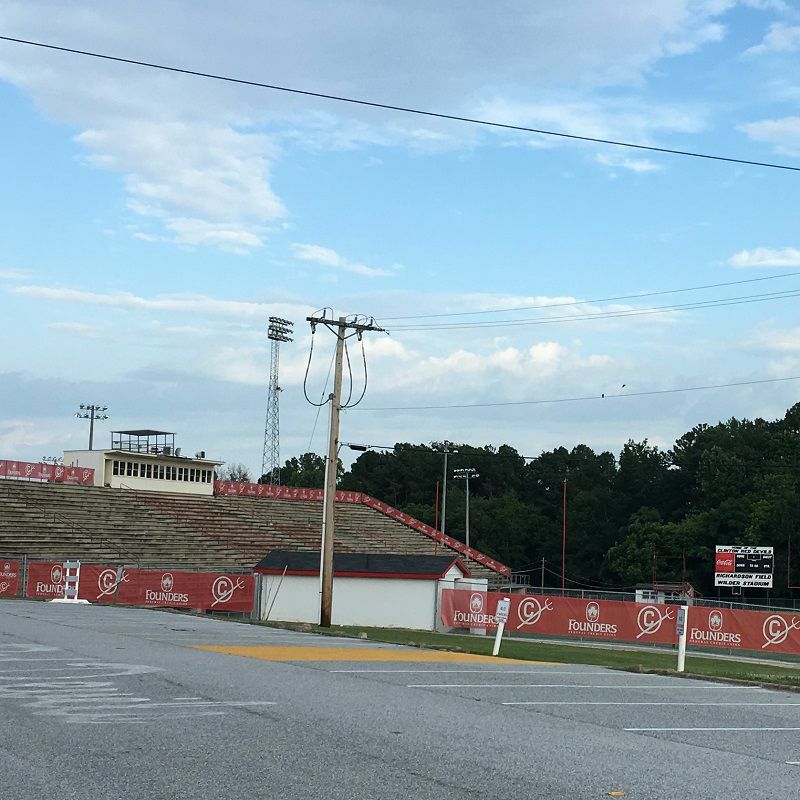 The Panthers’ home field, Hite Stadium, has changed little in four decades. At most home games, players from the town’s youth football leagues are honored. The player development program, to all appearances, is a fun experience for the town’s young and budding athletes and a model for other small towns. Nickles is a wholesome, inspirational voice for his program. He cultivated his coaching skills under Willis Burkett at Greenwood and the late Dennis Botts at Abbeville, whom he succeeded. Abbeville wins and does it the right way. It is precisely what Clinton football once exemplified and that to which it now aspires … once again. Coaches like Nickles don’t come along every day. Neither do coaches like Richardson, who now sits on the school board, and Young. It can happen. It did.